Behold, the new TARDIS Console from An Adventure in Space and Time! At this weekend's Paris Comic-Con, Guest Mark Gatiss has brought along a special piece of kit from his upcoming drama that tracks the genesis of Doctor Who - the faithful recreation of The very first TARDIS Console! 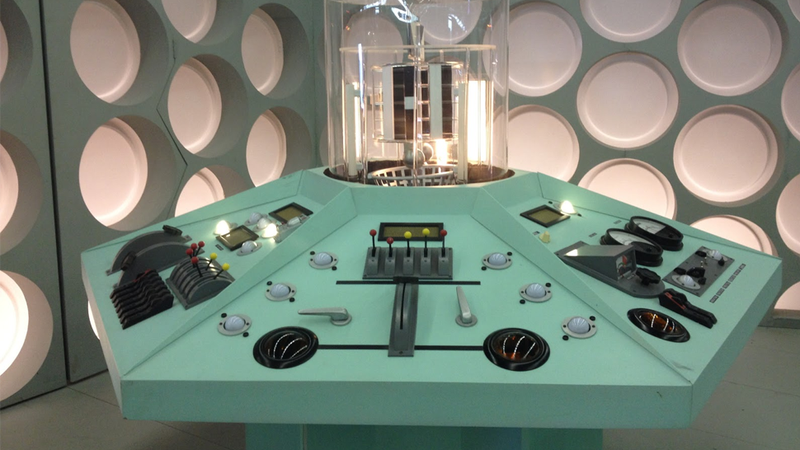 First designed by Production Designer Peter Brachaki in 1963, with help from Barry Newbery, the Hexagonal control panel of The Doctor's timeship would be a design icon that persisted throughout the many Console Rooms of Classic series, as well as going on to influence the redesigned console rooms of the 9th, 10th and 11th Doctor's TARDISes in the modern series (perhaps most directly as an influence on Michael Pickwoad's redesign for Series 7). This time we'll be seeing David Bradley, as William Hartnell, take control of this one when An Adventure in Space and Time airs later this year. Check out a whole host of pictures of the gorgeous Console here!